In a gigantic and busy city like Greater London, finding out a reliable cleaning service is not an easy task. It is a big time task to decide whom to trust. Obviously, it is not possible to invite anyone without reliability at your home. Lola Cleaners is famous in London for building its trust over the clients. Our company provides you with the reliable and carefully vetted professional cleaners. If you are sick of managing your work and home cleaning at the same time and are looking for some trustworthy cleaning agency then we are the best choice for you. We only hire background and reference checked people. You can handover your home or office keys to our trustworthy cleaners and can get sparkling results without taking any stress. Apart from reliability, our company is also famous for providing affordable rates. In a city like Greater London, it is hard to get such low rates. We can assure you that after booking us once, you will keep on getting back to us. Our advisors are available 24/7 for your assistance at 020 3743 9100. Do not waste your time and just give us a call. Greater London is known to be the ceremonial county and administrative region that resides in the Southeast of England. The region consists of the City of London and 32 Boroughs of London. 20 of these boroughs are outer London boroughs and the rest 12 are inner London boroughs. It is among top rated most populated cities of the world. Its population is growing rapidly and is considered to be the most populated city of the European Union. It is around ten times more densely populated city if compared with any other region in Britain. It is also one of the most expensive cities of the world. Greater London is the biggest tourists’ attraction as well because of the existence of number of worth watching places. Such places include the River Thames, Buckingham Palace, Big Ben, Tower of London, St Paul Cathedral, London Zoo, Madame Tusssauds, Tate Modern and Hyde Park. Greater London is also famous for shopping and Oxford Street is well known for this purpose worldwide. Due to constant increase in population London has become a mix of cultures and people belonging to different ethnicities can be easily seen here. Apart from different ethnicities, London is now also becoming the home to different cultures of the world. While living in Greater London, the options of cleaning companies are highly increased but along with that the issue of reliability is also elevated. Among so many cleaning contractors, it is hard to decide which one is the most reliable yet affordable. If you are going through the same problem then you are no longer in trouble as Lola Cleaners is there to help you with the best of cleaning services with high level of reliability at very low costs. Our cleaning services are quick, safe and secure. You just need to give us a call at 020 3743 9100 to get your cleaners booked. The booking confirmation is given immediately. 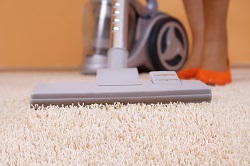 No matter what kind of cleaning you are looking for we can give you the best. We have highly experienced cleaners for office cleaning, regular domestic cleaning, end of party cleaning, spring cleaning, end of tenancy cleaning and after builders cleaning. You can take assistance regarding our provided services from our customer service department which is available for your help 24/7. With our company cleaning is no longer a stress now.